Choose a Security Camera to Watch Your POS - A blog about IP video security solution. Over 200 million was recovered from dishonest employees or shoplifters in 2015, increased 1.2% since 2014. (Source: Hayes International) The POS is the important area where loss could happen. When cashier drawer comes up short, it attracts your attention immediately. "Overage in the POS could even worse than the shortage. Either your cashier didn’t give enough money back to a customer or you may have a dishonest employee. Both are bad for your business." as Tina Praino wrote in her posted 1. A POS system provides you the data of each transaction. With a POS camera, you are able to visually audit those transactions, find out whether the cashier was making careless mistake or under ringing on purpose. You need a proper IP camera to generate the useful footage, providing you the recognition of the bill value when cashier is counting. The high resolution camera doesn't guarantee you see the detail; the cashier can count the money very fast. It needs the capability of capturing moving objects. Normally the bigger the size of the sensor, the capability is better. 2-megapixel camera could have better performance than 4 megapixel, because the size of the sensor. This is the video. 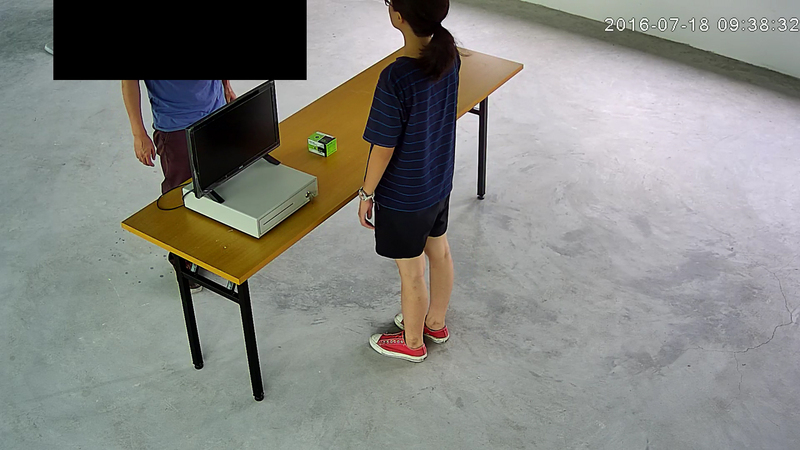 You can keep the footage inside the IP camera, or an external standalone network recorder (NVR). Both solution are cost-effective especially the camera with on-board storage function. The footage is recorded inside the camera. You can playback the footage over your smart phone or PC thru the network. No need to take off the memory card for retrieving the footage. Also, you can buy a thirty POS integrate software such as Axxon. 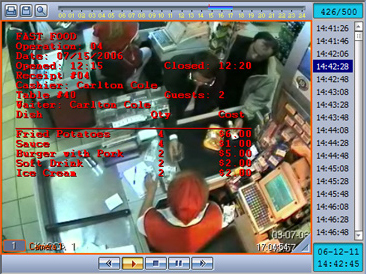 This software will add the POS data to your video, allow you to search the video using the POS data. You have more effective payback with this POS integration. Only need to click the transaction record, the relative videos will pop up. The POS is the sensitivity area for customers. They need to stay there for a while, waiting to pay, which could make your customers feeling uncomfortable when they see a camera shooting at their face. Select a camera with discreet appearance or at least the lens' shooting direction is not so obvious. All those not only can improve your customers’ buying experience, but also generates the deterrence for somebody walking in with different agendas. Privacy is another issue. 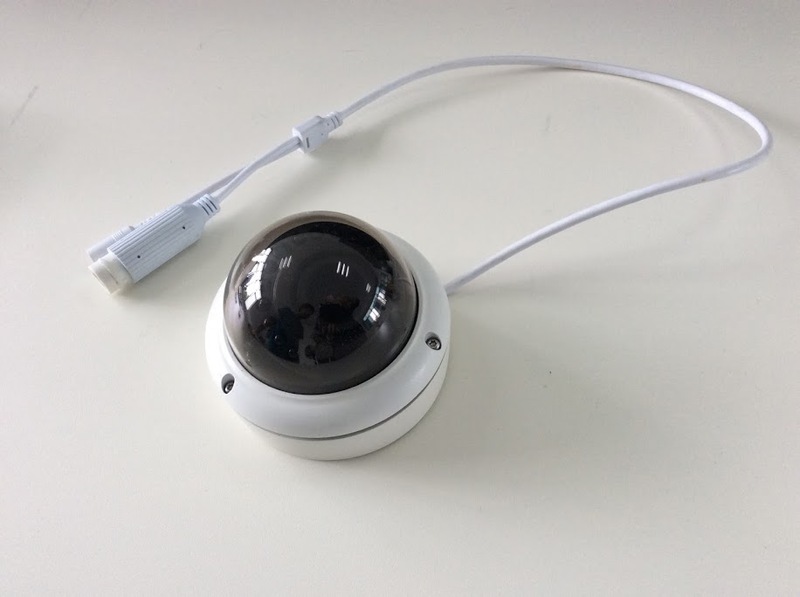 Most of the IP camera can create more than one privacy area, the selected area will change to a black block after you turn on privacy function. Developing the genuine relationship with your employees, getting to know them in personal level, it can reduce the loss in your business. With a POS camera system, you will discover the dishonest people, and the honest stay, it is good for everyone in the shop. Build a wireless camera system in the area without electricity. What are the Pros and Cons of IP WIFI camera NVR? How to ease the motion blur (ghost) from a security IP camera?